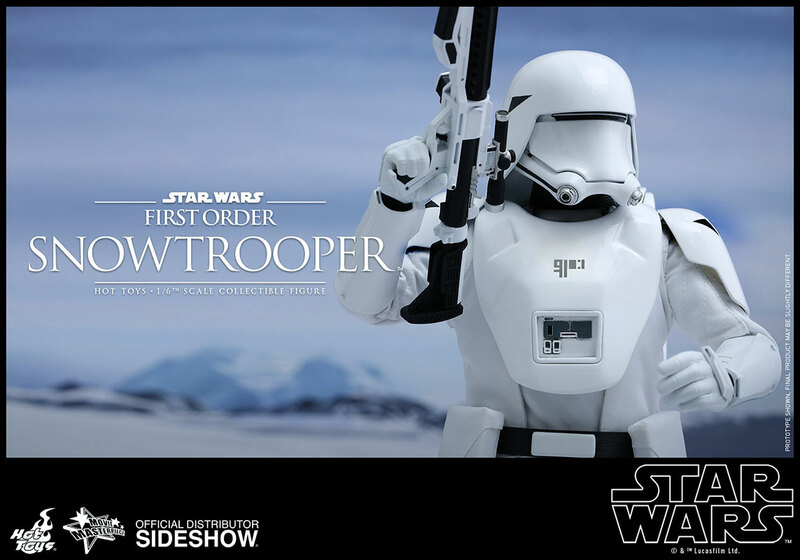 Following the official reveal of the first wave of Hot Toys' Star Wars: The Force Awakens collectible figures, featuring the mysterious Kylo Ren and the First Order Stormtroopers, Sideshow Collectibles and Hot Toys are thrilled to continue to bring fans more highly detailed collectibles based on the widely anticipated movie and present the new First Order Snowtrooper Star Wars collectible figures! 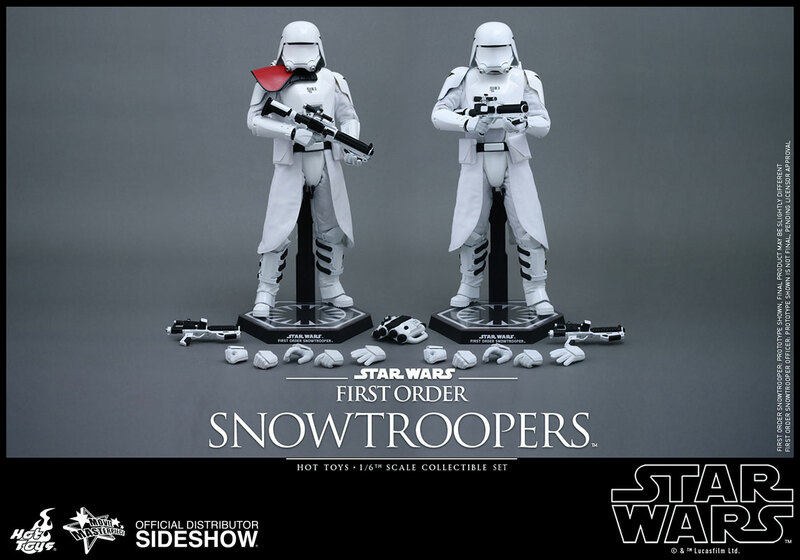 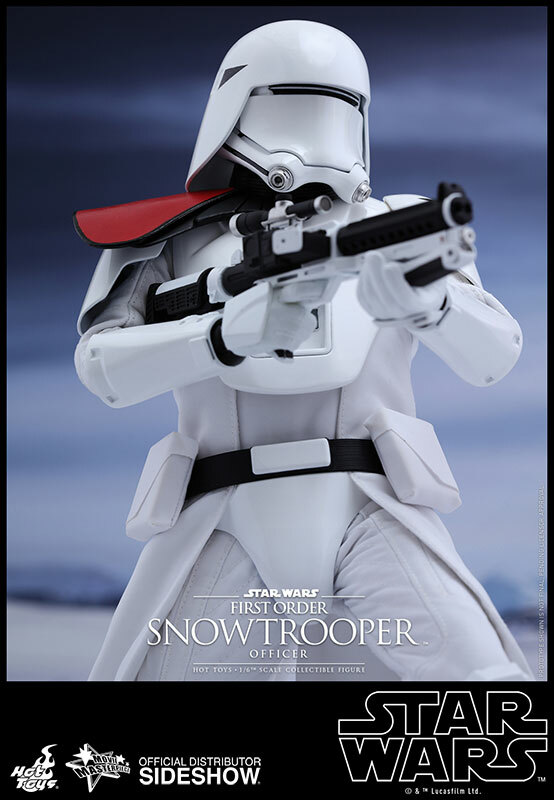 The highly-accurate collectible figures are specially crafted based on the image of First Order Snowtroopers in Star Wars: The Force Awakens. 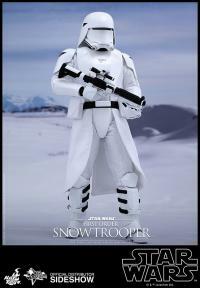 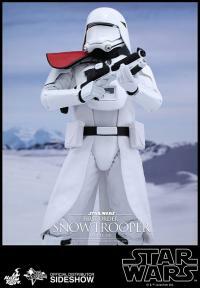 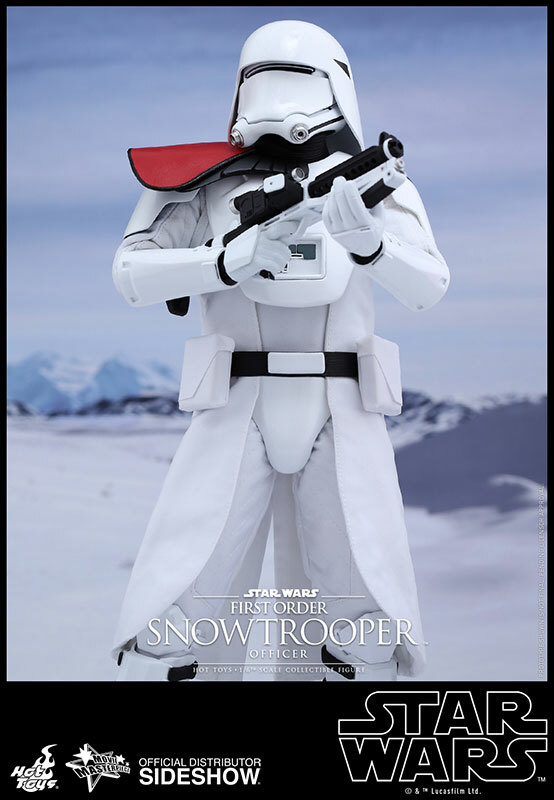 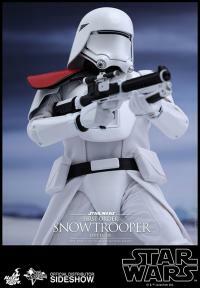 Each Snowtrooper features a newly designed Snowtrooper armor, helmet, and backpack. 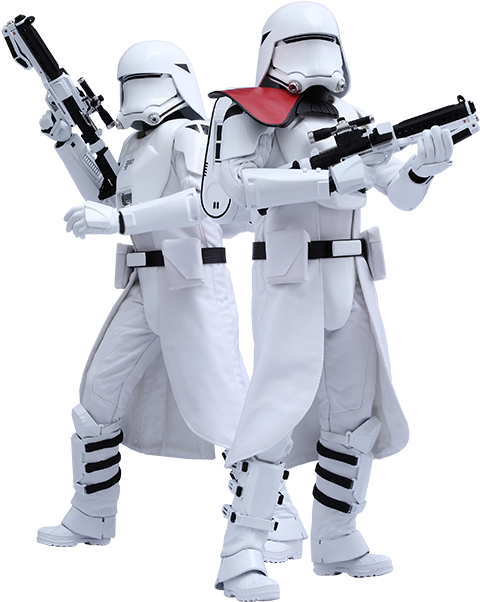 The standard First Order Snowtrooper is equipped with a blaster rifle with extended stock, while the First Order Snowtrooper Officer is armed with a blaster rifle with extended stock, a pair of articulated binoculars, and a red colored pauldron that indicates the rank of officer. 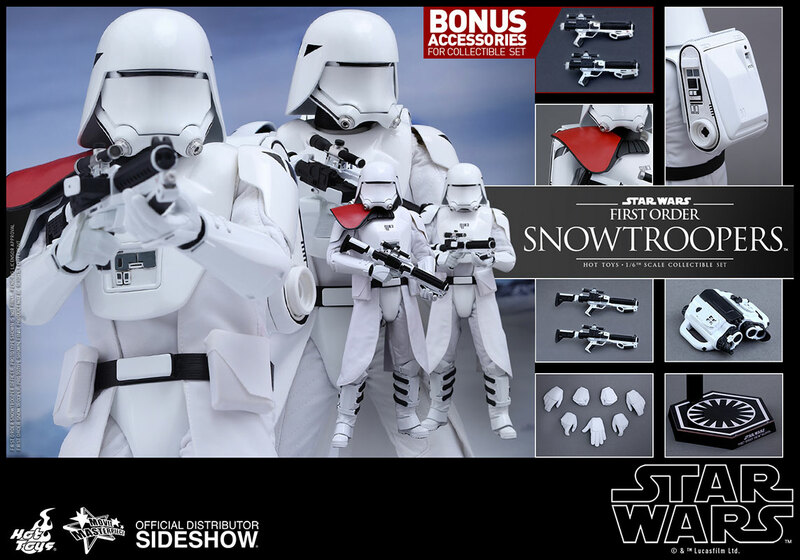 Two additional blaster rifles are included exclusively in this collectible set! 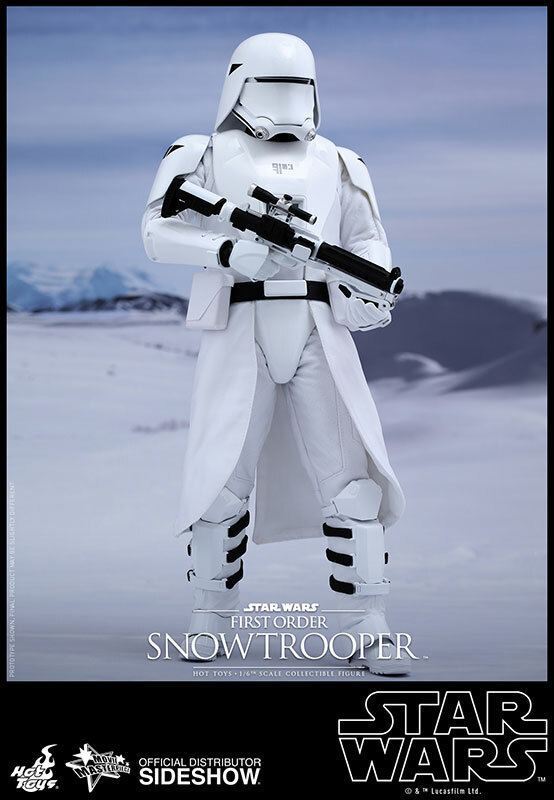 Pay as little as $117.00/mo. 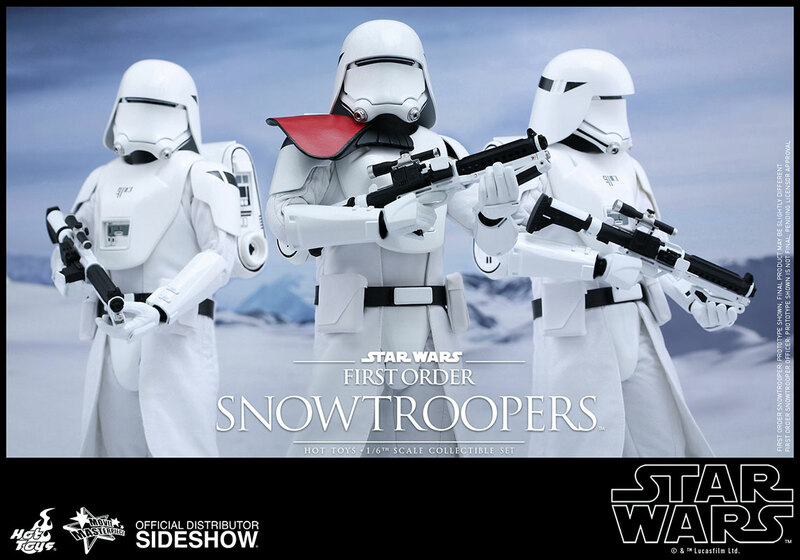 The First Order Snowtroopers are absolutely awesome! 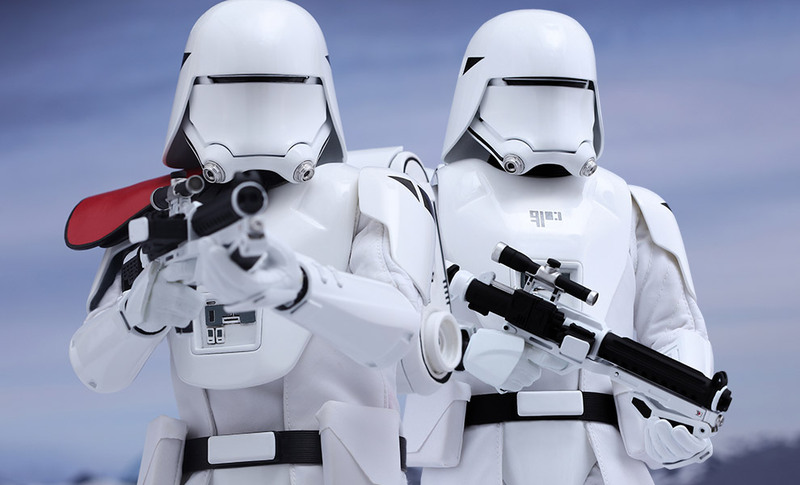 These guys were among the first additions to my Sideshow collection, and they definitely have an amazing presence up on the display shelf. 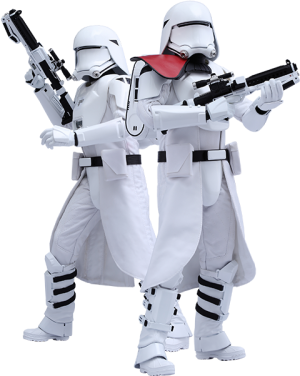 Excellent options for different poses, lots of equipment (4 blaster rifles), and two awesome troopers!